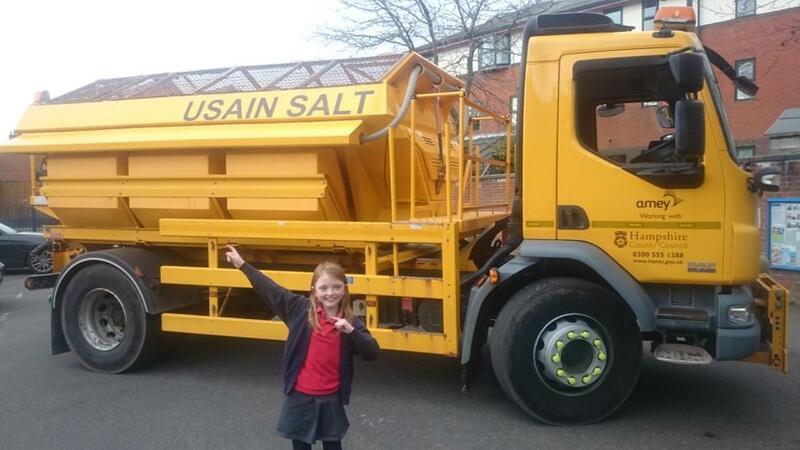 Amey, who work with Hampshire County Council to deliver highways and winter maintenance services, have named one of their gritting vehicles “Usain Salt” as suggested by one of our amazing pupils! 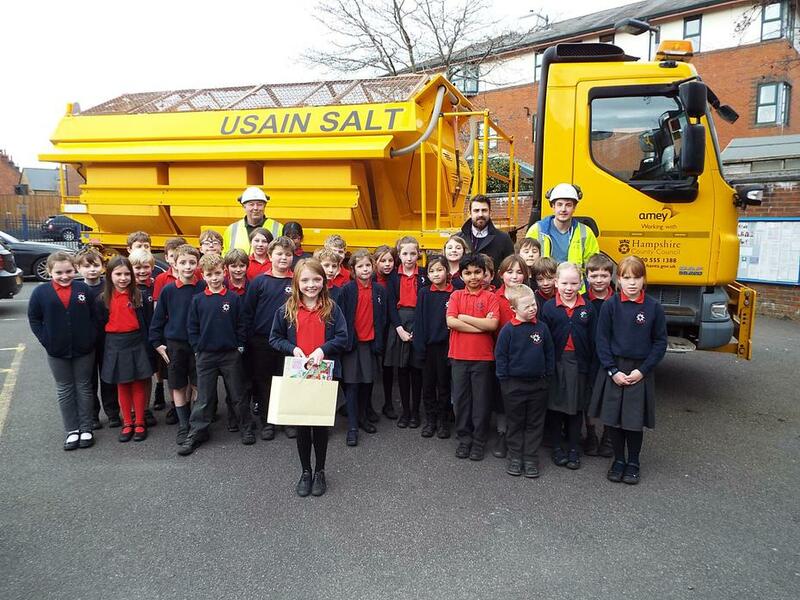 All our pupils were invited to take part in a competition to come up with a suitable name for the gritter. The winner was Veronica in Year 4! On Friday 26th February, ‘Usain Salt’ was officially named at a special event held at the school where there were certificates presented to competition runners up before Veronica and her fellow pupils had the opportunity to have a closer look at the vehicle and discuss how the roads are kept safe in winter. Keep a look out for Usain when he is out and about, keeping us safe on the roads!